2. I noticed a lot of Christmas crafts popping up this week- helping us all get a jump start on projects for the holidays! 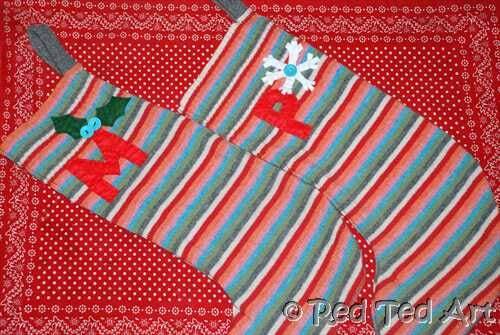 I thought this No-Knit knitted stocking from Red Ted Art was a clever idea! I personally can't knit, but love the handmade look. Go dig out those old sweaters/jumpers and make some cute decorations or gifts! 3. I really want to make one of these Carried Away Dollhouses from Just Another Day in Paradise. It's beautiful- the attention to detail is amazing (click over for more pictures!) What a great gift for that special little girl in your life! Thanks for the inspiration, ladies! Grab a featured button if you like! Now I'm off to attempt some sewing of my own! 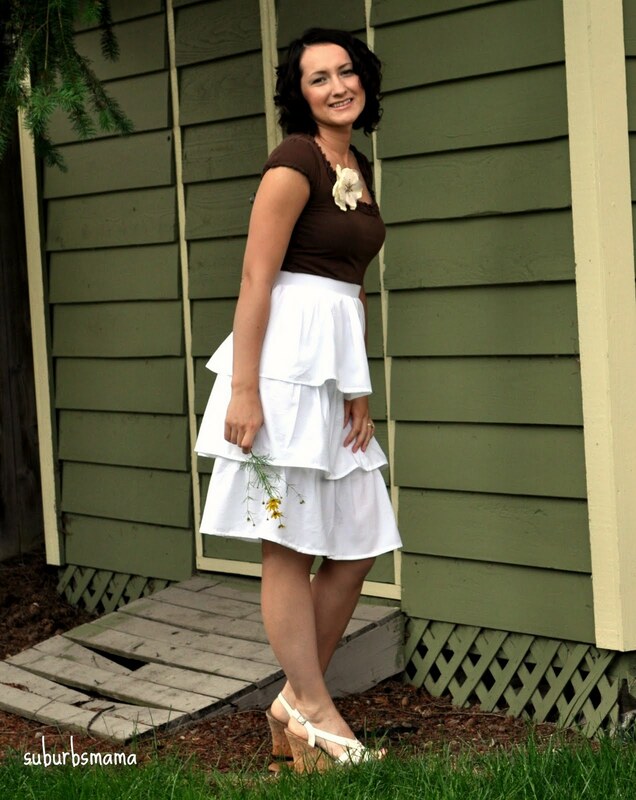 Thank you so much for featuring my dress!